The Bad Guys got in on the action in a big way in 1987. These are some seriously bodacious buckles, people. I suppose the villains are expected to be more ostentatious, but this year seems to eclipse them all in terms of style. 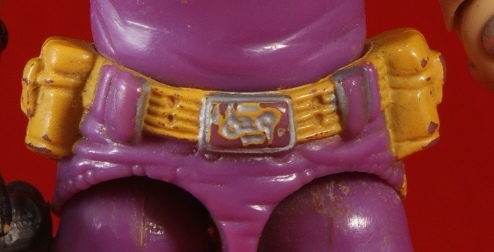 I would expect a yahoo like Raptor to go all out with theme imagery, and he’s no disappointment with his birdy buckle. Cobra Commander puts on his first of quite a few cobra head accoutrements. Croc Master is probably the most impressive in terms of effect, with a ginormous crocodile eye. I want one of these! Crystal Ball gets all secret society like with an illuminati-esque number. And decades before Jay-Z and Beyonce. What a trend setter. Original molds! What a great toy line -IS- G.I.JOE! Wow. Croc master must be a lord of the rings fan. Your opinion of the illuminati is based on what the corporate controlled media told you. The Bavarian Illuminati’s existence is well documented. 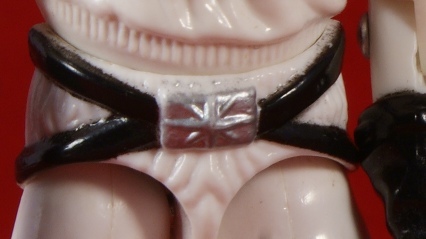 Maybe lost in the mists of time is the fact that some Hasbro designer confused the two waist pieces? Raptor for the win, although Croc Master isn’t too far behind. An awesome year for buckle design indeed! 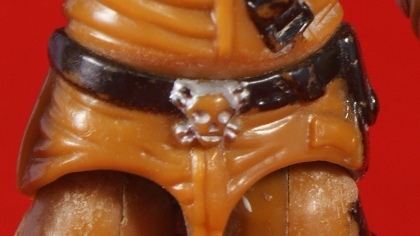 You could tell that the line was as its peak when Hasbro went all Liberace on the buckles in terms of detail and paint app goodness. Wow! Buckle extravaganza! Great entry wrapping things up for the week. 1987: The Year of the Buckle! 1987 had some stylish figures. As a kid, Croc Master’s belt buckle was the most eyecatching one (pun intended). I think besides being larger, it was also the bright yellow contrasted against metallic silver as opposed to metallic silver against a darker, often earth-toned belt. 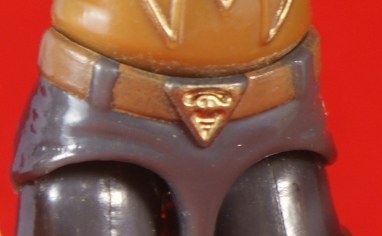 I think Raptor’s was the next most because the silver stood out against the flesh & brown colors.